I recently had my latest quilts appraised. 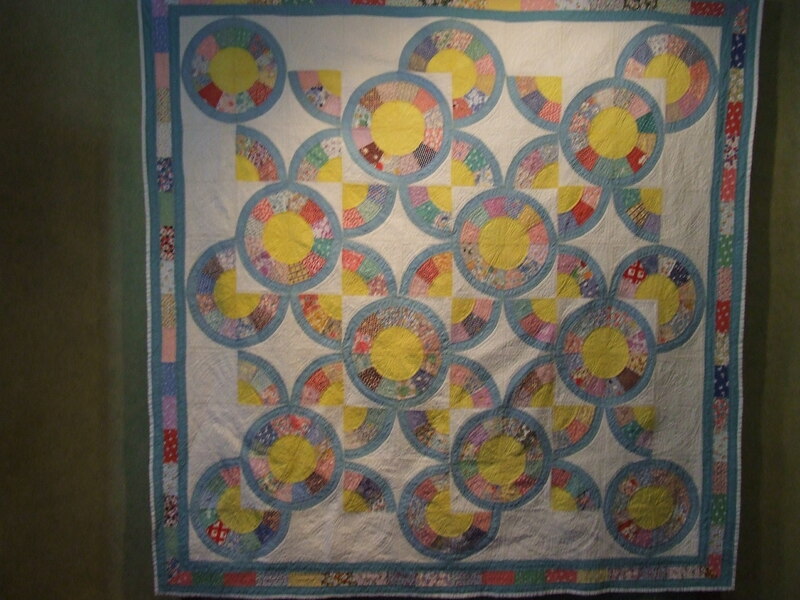 Why have quilts appraised by an AQS-certified appraiser? In addition, appraisers are required to re-certify every three years. Professional development classes and ongoing educational opportunities are offered to Certified Appraisers through the AQS program. Each appraiser has agreed to a Code of Ethical Practice and to abide by Uniform Standards of Professional Appraisal Practices (USPAP). 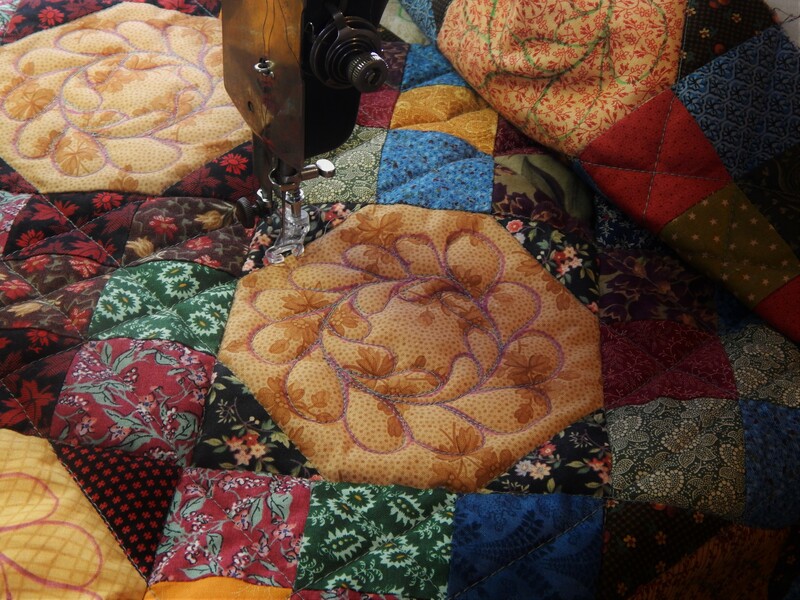 All AQS-certified appraisers are qualified to evaluate antique and newly made traditional and non-traditional quilts. 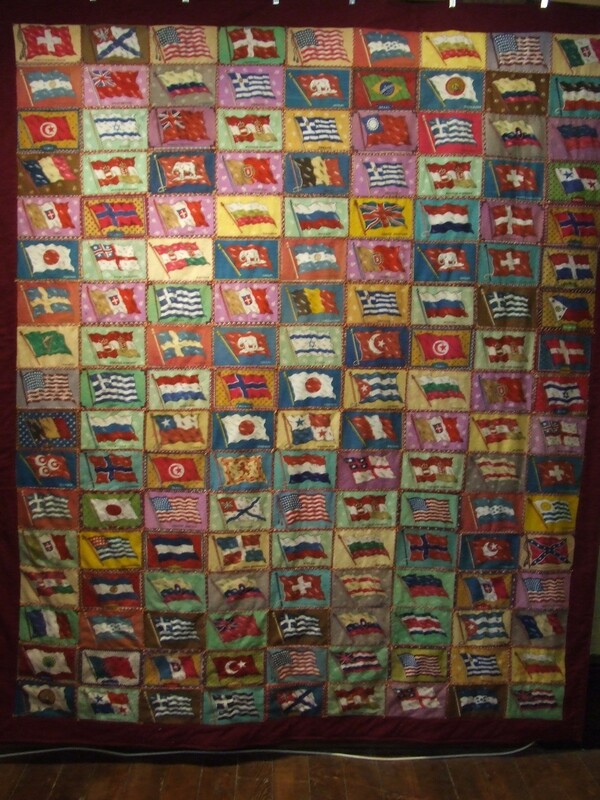 A qualified appraiser will advise a client if a quilt warrants being appraised. Insurance companies will not accept self-appraisals of quilts. If you are the owner, you cannot determine the insurance value; the insurance company considers you an interested party. Therefore, the value must be determined by a knowledgeable, disinterested party. 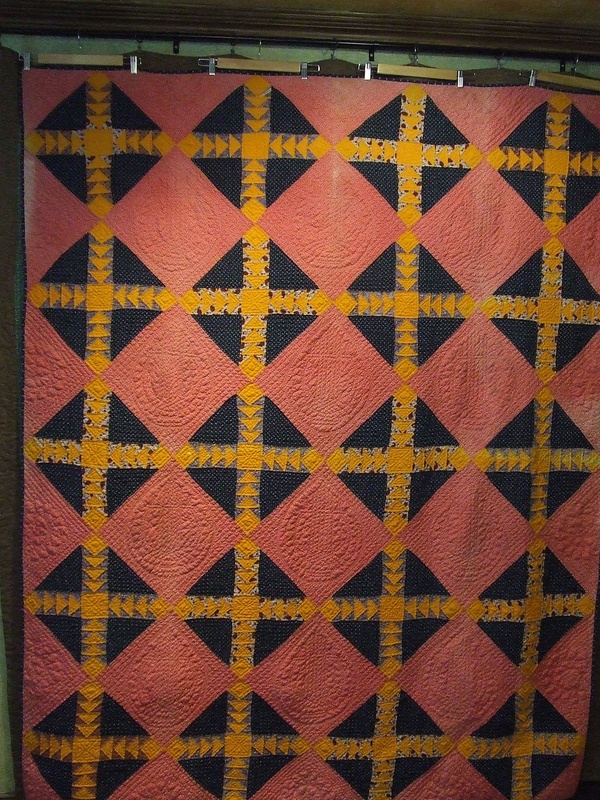 Since each quilt is unique, a separate value must be determined for each one. 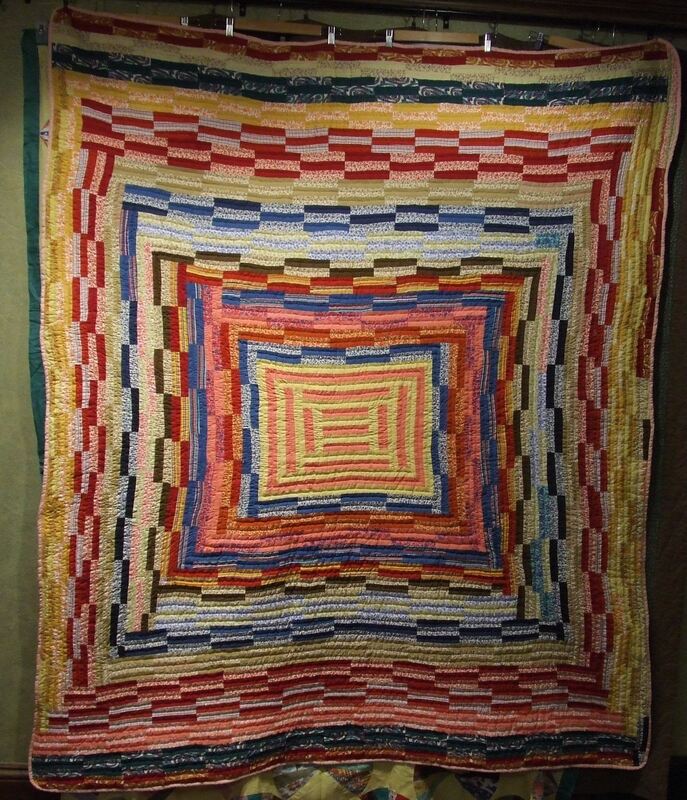 If the insured quilt is lost or damaged, the owner should receive enough money to purchase or remake a similar item of like and kind. The insurance industry refers to the amount of compensation as “actual cash value”, since the textile is one of a kind and can not be duplicated. So having said all that the reason to have you quilts appraised is that they do have real value! 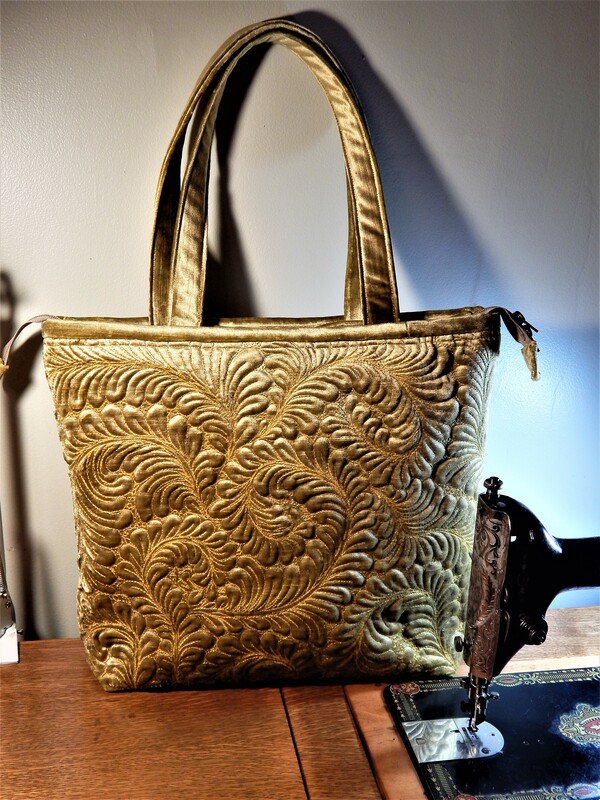 New or Antique…simple or complex…hand quilted or machine…they all have value. Keep in mind that these are insurance values, not market value (what they would sell for)…The current market is pretty soft! so quilts sell for considerably less than I think they are worth. So does anyone want to buy a quilt? 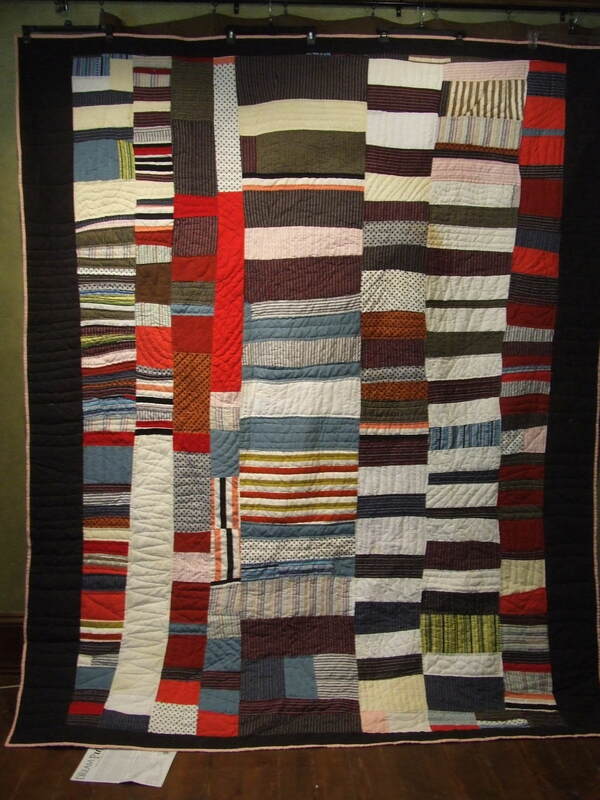 This entry was posted in Quilts and tagged Quilt Appraisal, Quilting, Quilts. Oh, I wish, I wish…..it is one of Andrew’s an my goals to have the money and be worthy of owning a Timothy Latimer original. Especially the Log Cabin. Now we just need to finish renovating the apartment, I need to get solvent again now that I’ve gone back to work, start saving money, and/or win the lottery. That’s all. Must remember to buy lottery ticket. Are you selling at the insurance value or what you think they are worth! 🙂 That makes buying on ebay such a good thing to see what value you have managed to get them to after how they came to you in the first place. Bravo! I would have thought the lyre quilted one would have been more. I’m a bit surprised by the houses! The triangles remain my favourite. Since I don’t gamble, I’ll just have to save my money. That makes sense. I appreciate all the intricate quilting though, you did such a great job. This was such a great bit of information. 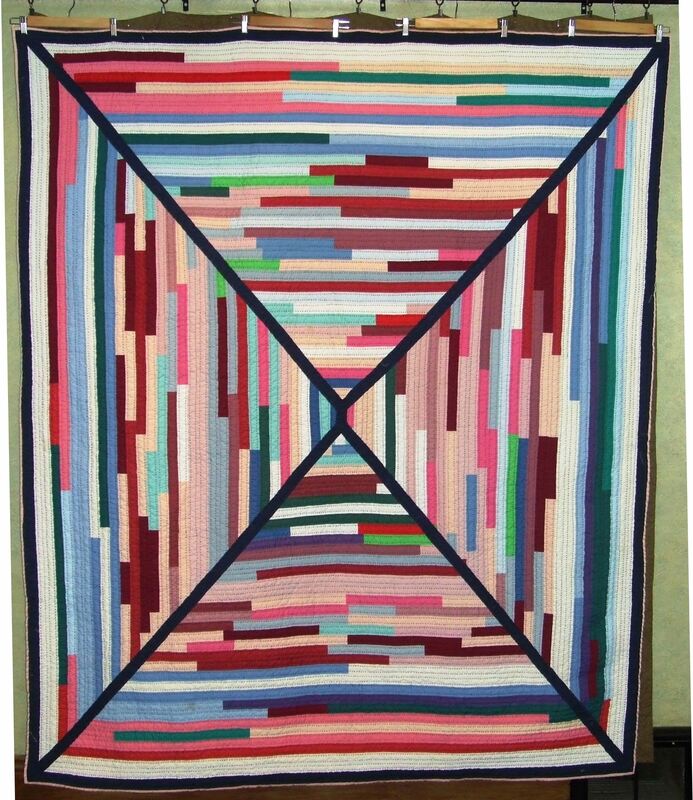 Do hand quilted quilts bring a greater value or does that not have any bearing whatsoever when it comes to determining a quilt’s value? Because I am hand quilter I know about the value of that….I am not at all sure what the going rate is for machine quilting. When value is determined it is based on what you would have to pay someone to do an equivalent job…..so the value is based on what it would cost to buy new materials and make the quilt again…so if you had to pay someone say $200 for example to do the machine quilting…that 200 is added to the cost of materials and the cost of piecing to determine a final value….I hope that makes sense. 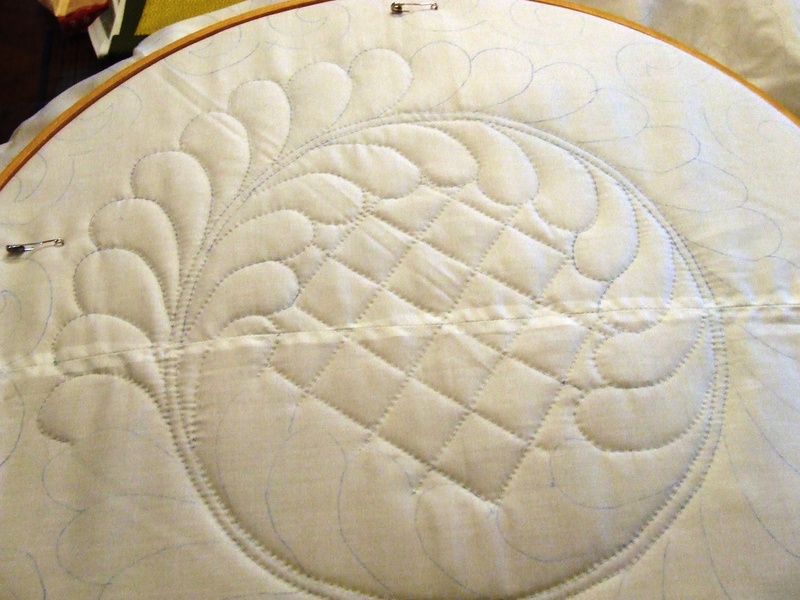 Hand quilting is generally figured at a cost per yard of quilting thread…somewhere in the $1 – $1.50 per yard range. 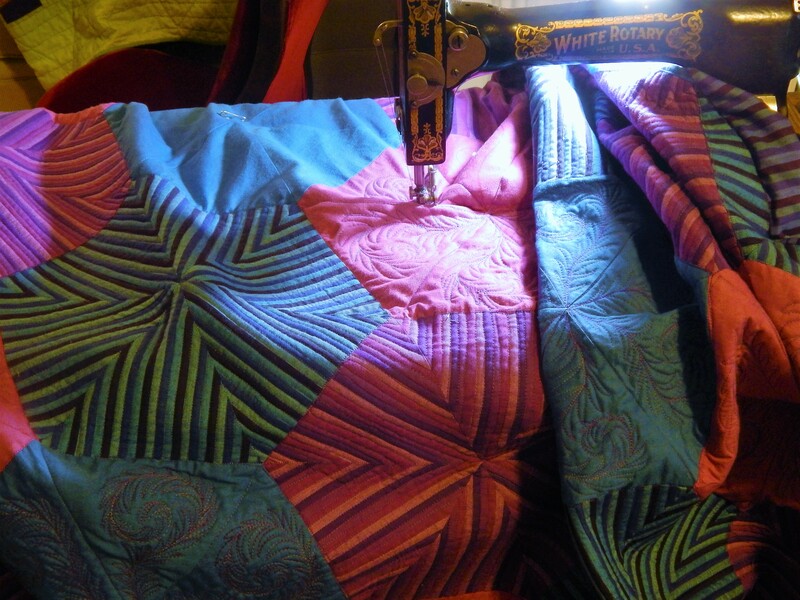 If you pay someone to do hand quilting that is how it is charged….so the more hand quilting in a quilt the higher the price….. Yes, I read once the Amish ladies charge by how many lengths of 36″ of thread they use. It’s so much per yard/36″ length. Very interesting. I like when you post the appraised values of your completed quilts. 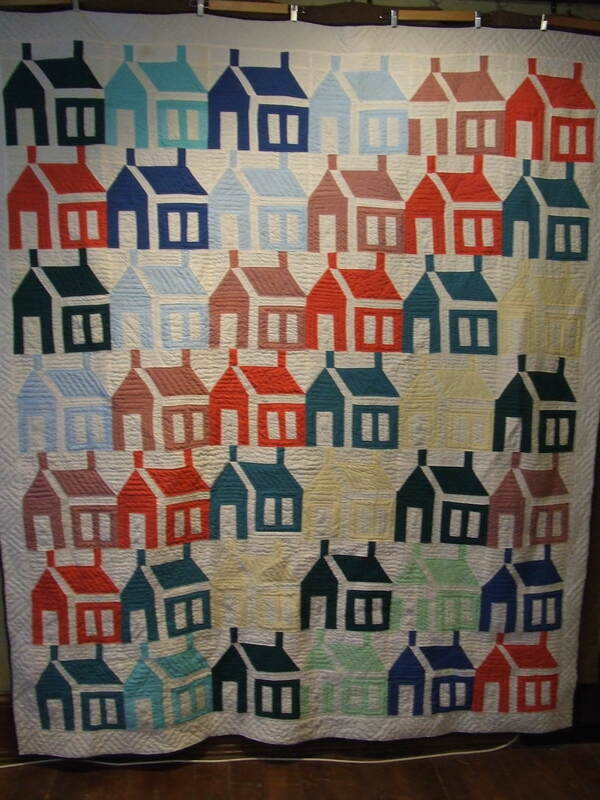 Do you pay a flat fee per each quilt being appraised or is that subjective to the appraiser as well? This is all such great info…..it never occurred to me to have my quilts appraised for insurance. Great idea! Thanks! I think we often overlook the value of our own work!….I believe that we should have all our quilts appraised if only to show ourselves that our work has value. 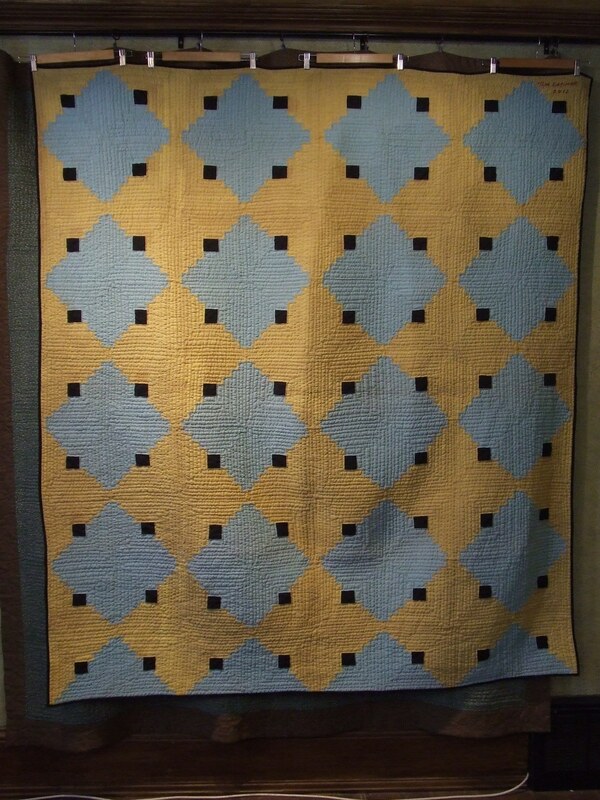 I am glad that it was helpful to hear about the process…and I would definately get the whole cloth quilt appraised!! What a group of lovelies! All so valuable and worth so much more than their appraised value. Any time you are ready! Thanks! I am learning so much from you and have been inspired to get back to quilting more. I have all of mine laying flat on top of a bed too!!! I’m good to go unless I have company and then I don’t know where I will put them! This is a very interesting post. I had often wondered how the appraisals worked. You have some real treasures there! It would be hard for me to pick a favorite ’cause I jus’ luv ’em ALL!!!!! 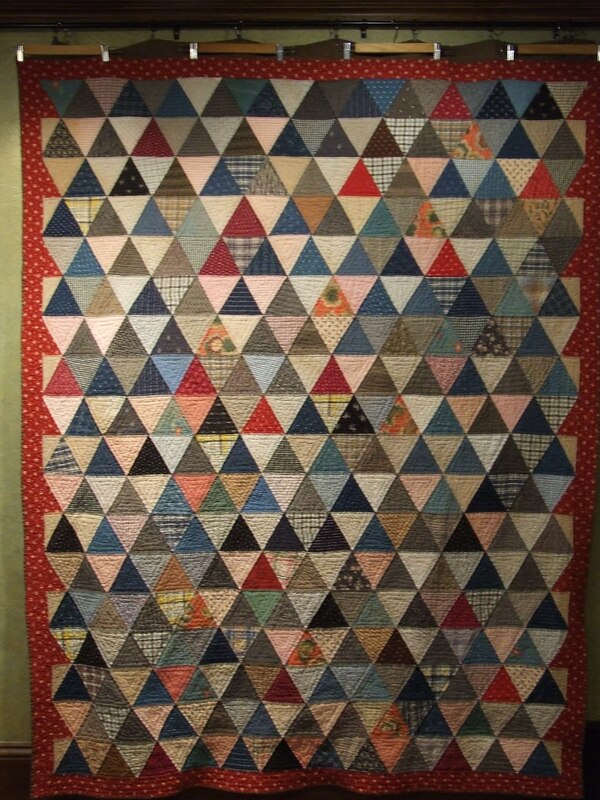 I’ve thought about having my quilts appraised and should carry through and just have them done.